I’ve been a fan of Sony’s cellphones - my first cellphone ever was a blue-screen Sony Ericsson T100, and I do retain a certain soft corner for it. But unfortunately, disappointment was forthcoming. With so many easily notable glitches, it is hard to justify a cellphone that has been marked with an MSRP of Rs. 29,490, only out of reverence for the brand. The OnePlus One, OnePlus 2, Asus Zenfone 2 (4GB RAM edition) and the more expensive Samsung Galaxy A8 all make for much better overall performers, and give better return for your money, with the Sony Xperia C4 Dual selling at Rs. 22,490 right now. Seeing a Sony cellphone always reminds you how you do not need to be extravagant while designing a phone, or wrap it in metal, to make it look good and feel its weight. The Sony Xperia C4 Dual, on first look, moulds the typical Xperia build into smoothened edges and a slim form factor. Having always been a fan of Sony, or Sony Ericsson, particularly, I’ve been hoping for Sony to come up with that one phone that would justify its command for the high brand value. Will this be the one? 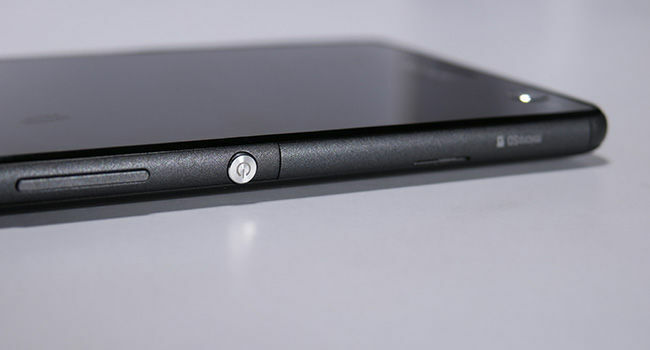 The Sony Xperia C4 Dual inherits the Xperia design, with softer, rounded edges on the sides and corners. 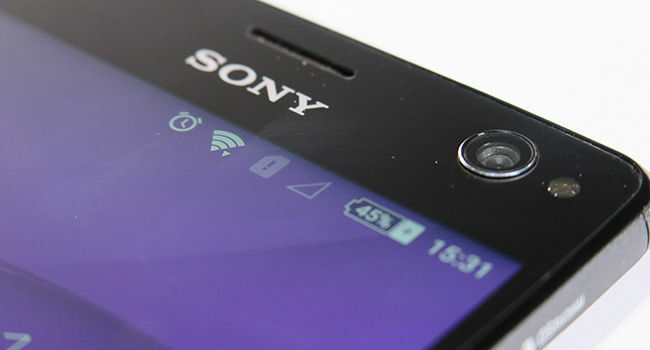 There is no metal used in the phone’s build except for the round unlock/power button, which is distinctly Sony. The plastic volume rocker is placed just below the unlock button, and is conveniently accessible. Sony has also retained a plastic camera shutter button, which definitely makes clicking photographs much easier. The sides are made of matte plastic, with a muted shimmer on its finish (on the Black device that we reviewed). The finish on the Xperia C4’s back has the same tone. The sides are tucked into the back panel, and the groove runs all across the device’s frame. Standard branding, camera, LED flash, speaker grille and a front-facing noise cancellation microphone adorn the back. Despite being made of matte plastic and quoting a price of nearly 30k, Sony has tried its best to make the Xperia C4 look and feel premium. While it does somewhat manage to do so in terms of looks, the phone still feels hard-pushed to be tagged ‘premium’. 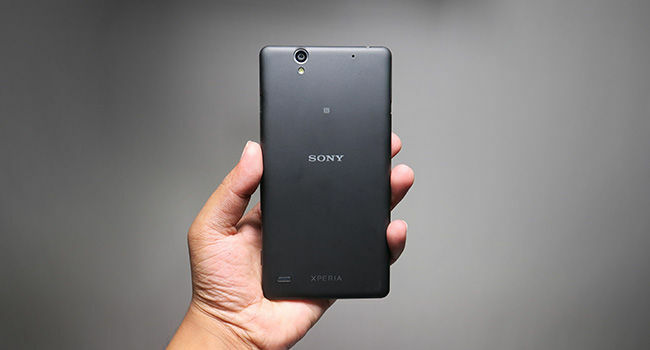 Yes, Sony has managed to shrink the form as much as it could after placing a 5.5-inch display, and the rounded edges, along with smooth coupling of the external structure, does make it feel much better than almost every other smartphone featuring a matte plastic back. Despite that, there’s a slight malleable quality about the Xperia C4’s plastic, which makes it feel marginally cheap. The front is surrounded by a plastic band, with an all-glass front. The display is placed low into the front panel, and has very narrow bottom bezels that give the Xperia C4 a screen-to-size ratio of 72%. 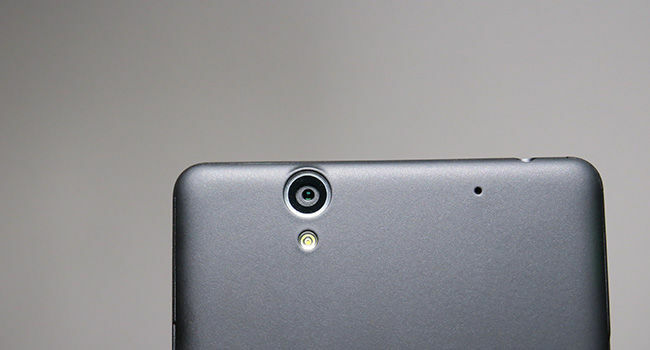 The front camera and LED flash is grouped into the top-right corner. Overall, Sony has retained the old Xperia design mantra, tried to make it younger by adding smoothened curves, given a smooth finish to make plastic feel better. The build is strong enough, and there are no uneven edges anywhere. Sony has also added a flap to its right, to seal the micro-SD expansion slot and two SIM slots from dust, water and other factors. It’s reasonably light, at 147 grams, and is quite comfortable to hold. Although one-handed usage might not be its strongest point, it is certainly easier to use, thanks to its smooth edges and dimensions. 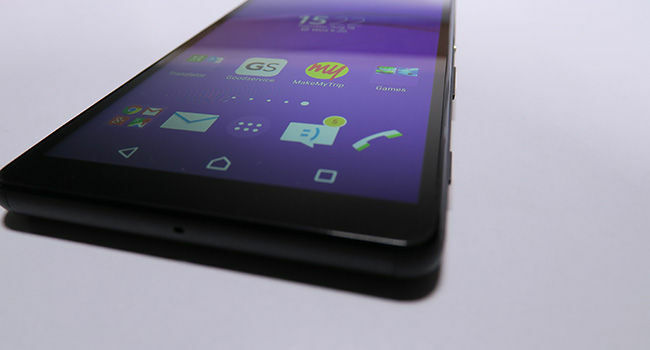 Sony has used a 5.5-inch IPS panel LCD display with a resolution of 1080x1920 pixels on the Sony Xperia C4 Dual. The display placement on the front glass surface is unorthodox — Sony going for a low-flung placing, to keep the phone compact, and include the large front camera lens and LED flash. The display is brilliant — sharp colours, high contrast level and ample brightness give a rich tone to photos and videos. Viewing angles are amazing, I could make out details on the screen, even at beyond 87 degrees. There is no colour shift at all, and the only possible distortion seen on very close inspection is a marginal luminance shift, which practically does not affect the display at all. There is a matte, true-to-source quality about the colours on this display, making it one of the most pleasing cellphone displays to simply look at. The gloss-finished glass top, however, slightly hampers viewing under direct sunlight as it reflects a lot of its surroundings. However, the optimum brightness level of the display considerably negates that problem. The screen also takes up a large area up front, leaving narrow bezels, which make the display appear larger, and the phone remain compact. Well done, Sony! Sony’s custom Xperia UI is quite smooth and pleasant to look at, although it stutters while swiping through pages or scrolling down menus, under slight extra load on this screen. It comes with a number of pre-installed apps, although most of them can be uninstalled. 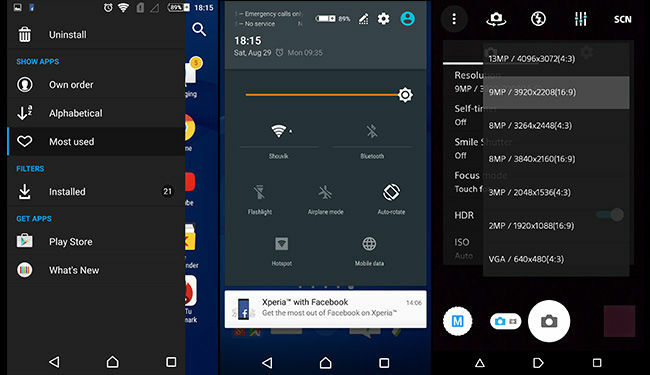 The Xperia UI retains a lot from Android’s stock appearance (the entire notification panel, for instance), but the synchronisation between the stock components of the UI along with Sony’s custom skin, like the rest of the phone, is seamless. Once a few pre-installed apps are removed, the UI feels distinctly faster. The Sony Xperia C4 Dual is powered by a 64-bit MediaTek MT6752 octa-core SoC, clocked at 1.7GHz. Mali T760-MP2 GPU renders decent quality graphics, aided by the excellent display to look even better. It also has 2GB of RAM to aid multitasking, although real-life usage somewhat slows it down. CSR Racing, the drag racing game, rendered good graphics, although gameplay was stuttered at times. The CPU starts throttling, and most stutters while gaming start after about 15 to 20 minutes of continuous gaming in an air-conditioned environment. While the build, design and display were sheer happiness, it is here that the Sony Xperia C4 Dual starts falling apart. Whie the phone may still be forgiven for stuttering on heavy games, but much smaller and simpler ones like Zig Zag by Ketchapp Games face lags — alarming, for a smartphone priced above Rs. 20,000. Apps like Facebook, Chrome and the likes work smoothly, although on initial start, there is a split second lag, which doesn’t hinder performance, but really shouldn’t be happening. The camera app is downright slow, as has been customary with Sony phones till now. It shows especially during video recording (more on that below). Overall, most apps seem to take some time to open, but in-app performance is decent. Overall, you will not face any major issue in everyday usage, and even while gaming/editing videos. Heavy gaming is not recommended, because of the lags that come in after the 20-minute mark. But it is not disastrous, because the lags are intermittent, and that does not make gameplay stutter all through. Regular multitasking (playing music while texting, posting updates to Facebook and Instagram) is decently handled. WiFi reception remains steady even while I was on a call. Apps kept updating in the background, and I could even send emails, while being on the call and updating apps (aided by a reasonably fast internet connection). Playing your own music while gaming increases in-game stutters, something that the Samsung Galaxy A8 played out very well. Of course, that phone is priced even higher than this one. While network retention and in-call audio through the earpiece is flawless, the down-firing electret condenser microphone picks up too much ambient noise, and in very noisy surroundings, the only way I could talk over the phone was by placing a hand right beneath the microphone, and yelling. This is a major disappointment. 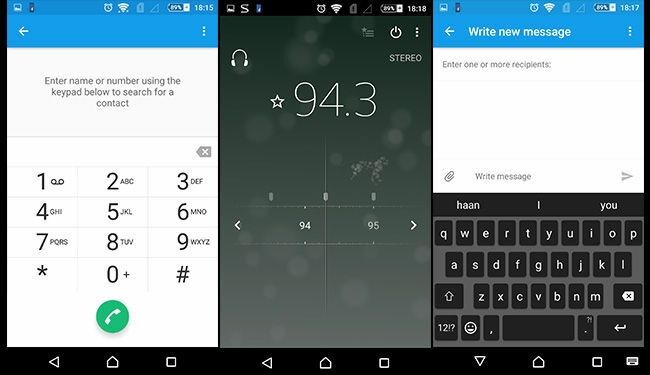 After all, performance issues can still be adjusted, to a certain extent, but impeccable call audio is a necessity, and unfortunately, the Sony Xperia C4 Dual’s microphone is wrongly positioned. Keeping the mic’s audio reception omnidirectional was the only option, and that is yet another major dent to my happiness with the Sony Xperia C4 Dual. The audio quality is one of those respites that Sony still retains from its falling grace though. While no in-phone speaker can deliver astonishing audio clarity and fidelity (we haven’t checked out the Marshall London, yet), the speaker bar on the Sony Xperia C4 Dual, placed to the bottom-left of the back panel, is quite good. There is no audio distortion, pitch is reasonably distinct, and clarity is uncompromised. It handles baritones and sopranos really well, but what was particularly impressive was the crunch in mid-frequencies. Unexpected from the speakers of a mid-range phone, the audio is actually good, and won’t make you cringe. Overall volume is marginally low, but the excellent performance by the speakers make up for that. Team it up with your favourite speakers/headphones, and it delivers excellent audio quality — balanced and pristine. To sum this up in one word, unpredictable. The 13-megapixel Sony Exmor R CMOS BSI sensor has produced images that exceeded expectations in a dark hall with blue and green lasers, but failed under normal daylight or fluorescent conditions. It somehow seems more adept in clicking photographs in lower light conditions. There is an overall washed-out layer over every photograph, and details rendered are no great winners either. Somehow, the camera does reasonably better in diffused sunlight. However, the warmth of the photograph seen on the phone’s display dissipates once transferred on to a laptop, and the colours are too flat. The touch focus is responsive, although it takes longer to focus than other phones. The shutter is okay, although Sony’s camera algorithm makes it somewhat slow. The Sony Xperia C4 Dual is a selfie-focused smartphone, so I was expecting brilliant front camera quality. The Asus Zenfone Selfie has recently set a new benchmark in front camera performance, and clearly, the 5-megapixel Exmor R CMOS sensor (f=25mm) along with an LED flash in front lags far behind. In fact, the front camera is the biggest disappointment here. For a selfie-oriented smartphone, the Sony Xperia C4 takes poor photographs out of its front camera, even in broad daylight. Images are pixelated, colours appear bleached, and the best you get out of the Xperia C4 would have been great some two years back. Additionally, Sony renders an aspect ratio of 4:3 at 5MP resolution. For a 16:9 aspect ratio, you will need to tune the sensor down to 3.7MP (which, in today’s market, is poor). The same goes for the rear camera, which can only shoot at 9MP at 16:9 aspect ratio. Big, big disappointment. Coming to video recording, the action lag time while recording videos is almost 0.5s — vast, if you’re considering taking the Xperia C4 out to a sporting event. While the video quality itself is actually much better than its photography abilities, the lag is a major setback while recording. The camera is just not in tune with the processor, and Sony’s Exmor R sensor, which it has used to power a lot of its Handycam devices, is not optimised properly, leading to a major camera failure. Images from the Xperia C4’s camera are attached below for reference. 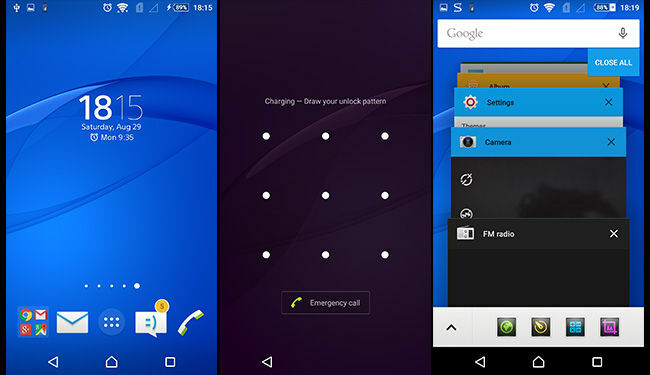 The Sony Xperia C4 Dual’s battery is good, easily lasting through a day. Leaving it on standby on full charge with WiFi on, it still had 18% battery left after two full days. On regular usage, the Sony Xperia C4 returns home after a 9am-11pm day with about 15% charge left. Our battery test returned a battery life of 9 hours and 6 minutes, which is good. Multitasking, depending on its extent, drains the battery more, although Sony somewhat optimises power usage during heavy multitasking like playing Marvel: Contest of Champions, your own music in the background, and a large file download in progress. Although performance is slightly compromised, many will thank the battery stamina to see them through the entire day. Additionally, Sony’s battery saver helps more in extending the battery life by a margin of almost 12%, which comes handy in dire situations. Yes, Sony’s design philosophy does work in making cheap, plastic parts feel premium, and the display is great to look at, and the battery life is reasonably good. It is because of these factors that the Sony Xperia C4 Dual received a rating of 72% from us. But, with major performance stutters and an underperforming camera, it is hard to justify a cellphone that has been marked with an MSRP of Rs. 29,490, only out of reverence for the brand. The OnePlus One, OnePlus 2, Asus Zenfone 2 (4GB RAM edition) and the more expensive Samsung Galaxy A8 all make for much better overall performers, and give better return for your money, with the Sony Xperia C4 Dual selling at Rs. 22,490 right now. What’s more disappointing is to see Sony supplying stellar sensors to other OEMs, but failing to install one in its own phone. Defeated in your own game, Sony.